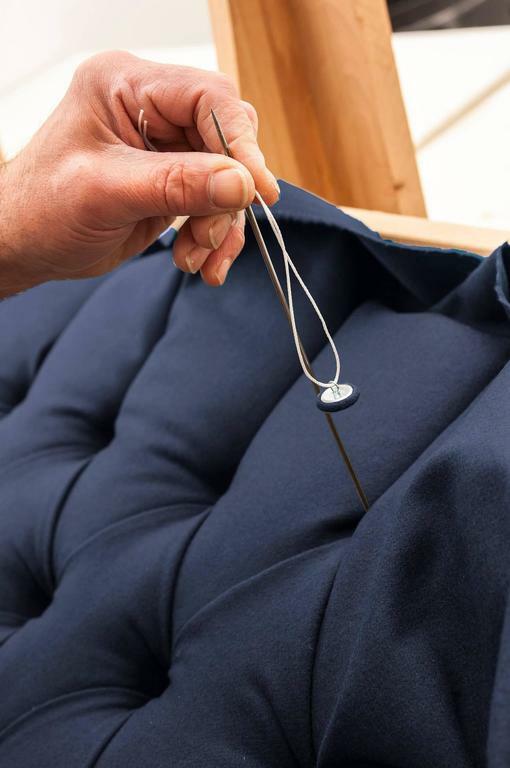 The Tux is our contemporary interpretation of the Classic Chesterfield. The deep buttoning and tailored detailing make this piece a personal favourite. 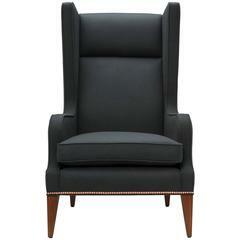 Tux Chair Special Edition shown here upholstered in Navy Melton Wool with legs in natural brass. 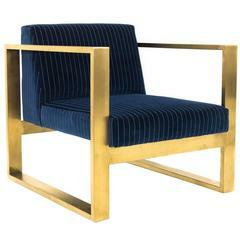 For this piece we have used Abraham Moon & Son for their wonderful Melton wool. Moon have been producing wool since 1837 and are unique in being a fully vertical mill, with all processes taking place on their site in Guiseley, Yorkshire. Construction: Solid seasoned beech frame with a sprung seat and webbed back, both deep buttoned. 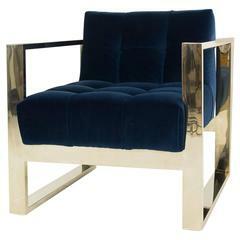 The legs are precision engineered from solid brass. We finish our brass legs with jade oil or Renaissance wax. Over time the finish will gently patina. 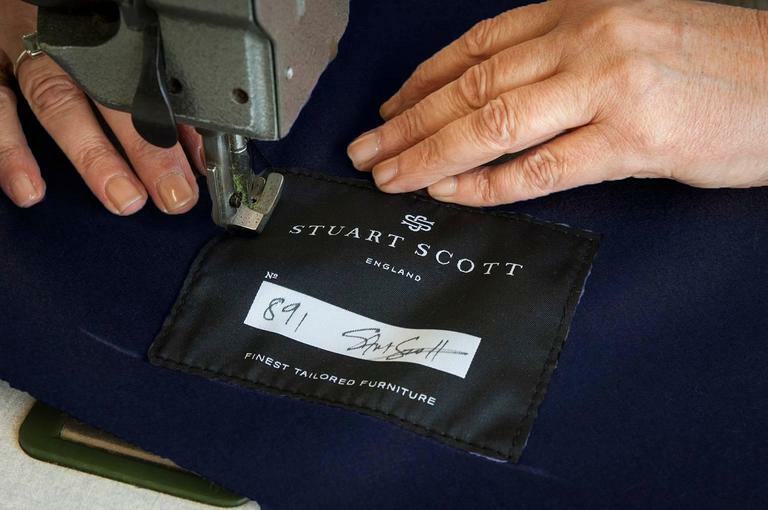 Each Stuart Scott piece is built by hand in our workshop in Wiltshire, England. Nothing is mass-produced. This ensures complete attention to detail, structural integrity and sheer build quality. We never compromise. When we finish each piece, it is signed and numbered: a unique hand-made masterpiece. Exclusively available in Abraham Moon Melton Wool. (87 colours) Customers may also choose from the following metal finishes: Natural Brass, or *Bronzed Brass. *Bronzed Brass legs carry a further up-charge of £180.00 per set of legs. Built to order by hand in England. Hand signed and individually numbered. 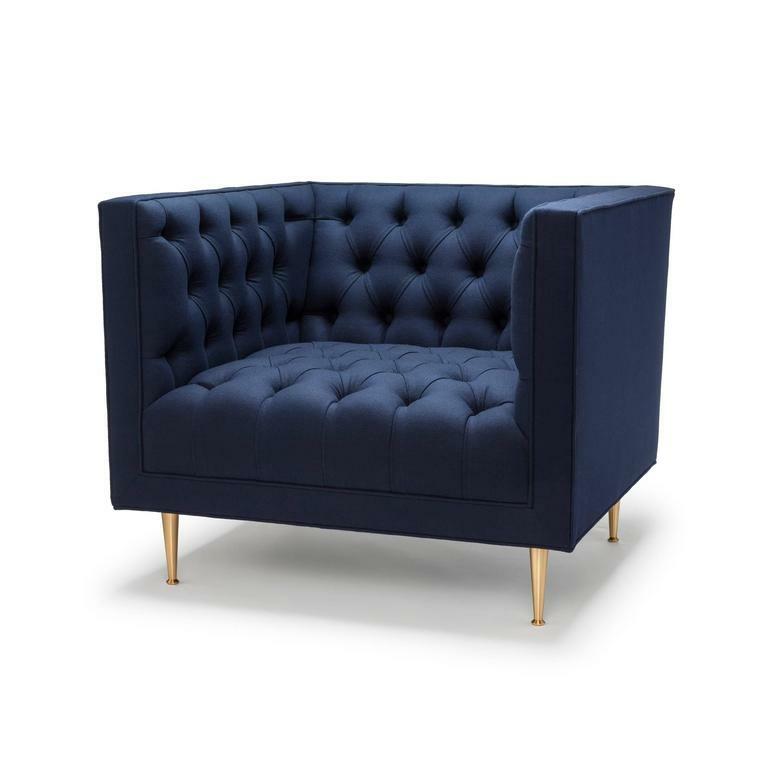 Modshop's wonderfully comfortable yet striking Kube chair with the all tufted back and tight seat. 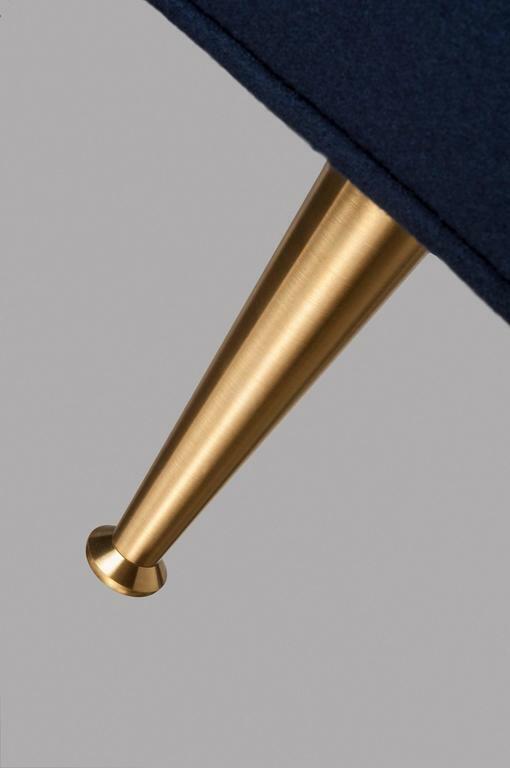 Finished in navy velvet and a brass U-leg frame. Modshop's Kube chair creates a stunning and comfortable tight seat chair. This is finished in navy pinstriped velvet and brass U-leg frame.